The Jewelry Box | Convertible Earrings Get 2012 JCK Jewelers Choice Award! Convertible Earrings Get 2012 JCK Jewelers Choice Award! 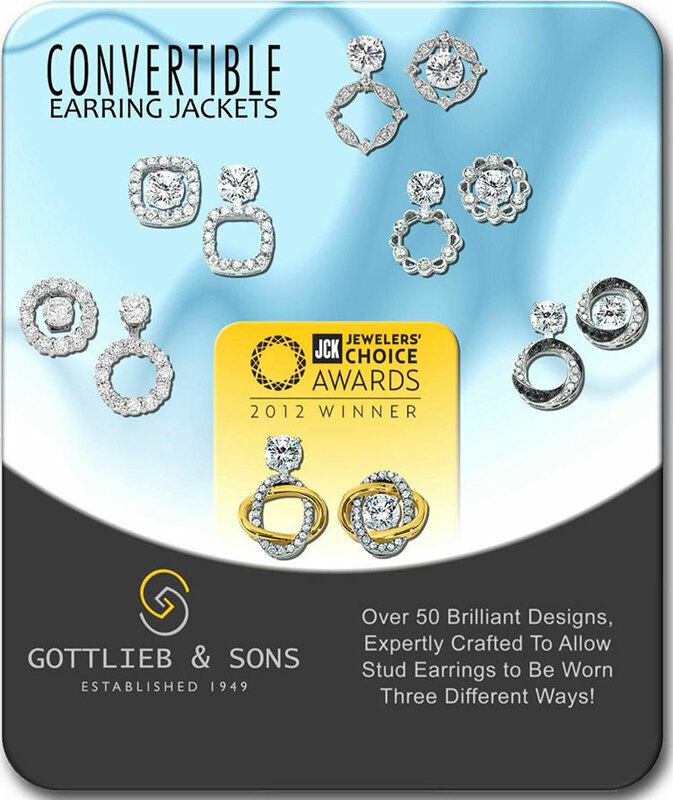 Jewelers from across America voted on their favorite jewelry in different categories and Gottlieb & Sons’ convertible earring jackets WON! Our innovative design allows you to wear Diamond Studs three different ways.